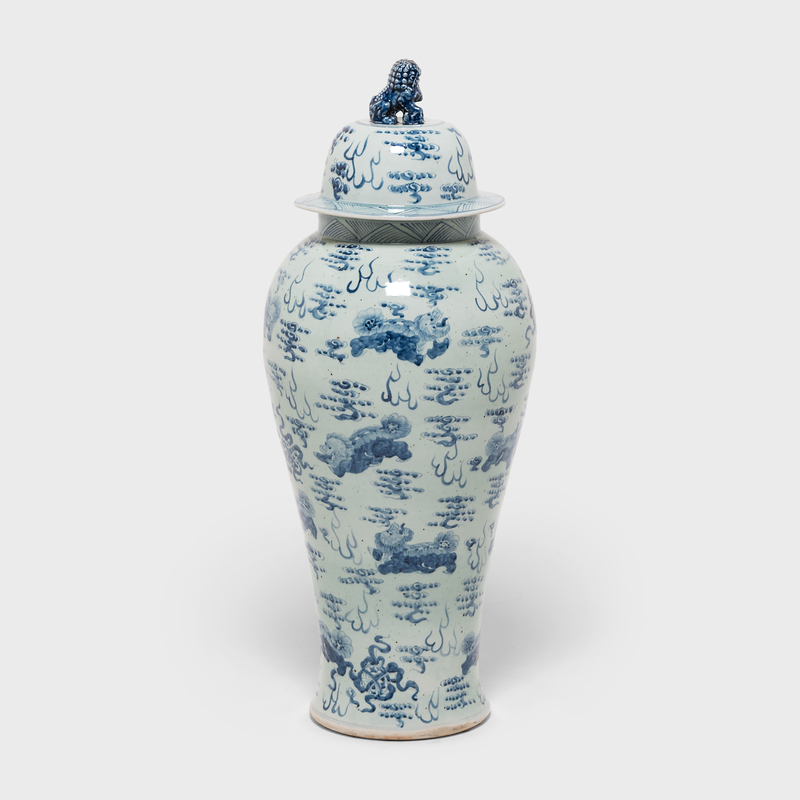 Beautifully rendered with expressive brushwork, the painted decoration on this monumental baluster jar demonstrates the exceptional artistry of Chinese blue-and-white porcelain. 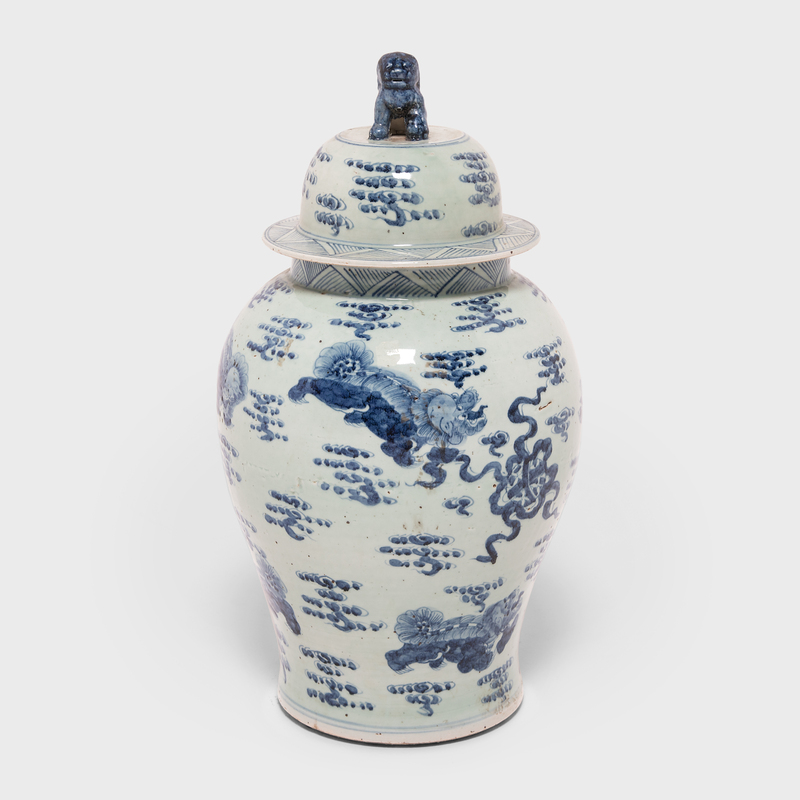 Guardian Fu lion dogs float amidst celestial clouds, playfully chasing an embroidered ball. 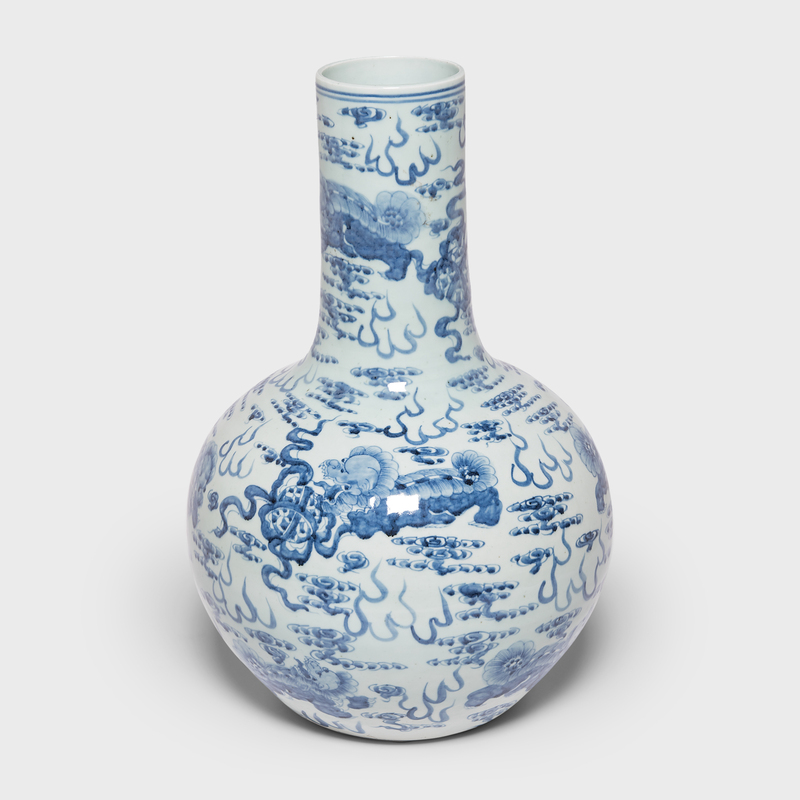 A common motif in Chinese art, the Fu dog with an embroidered ball beneath his paw symbolizes divine power and supremacy over the world. 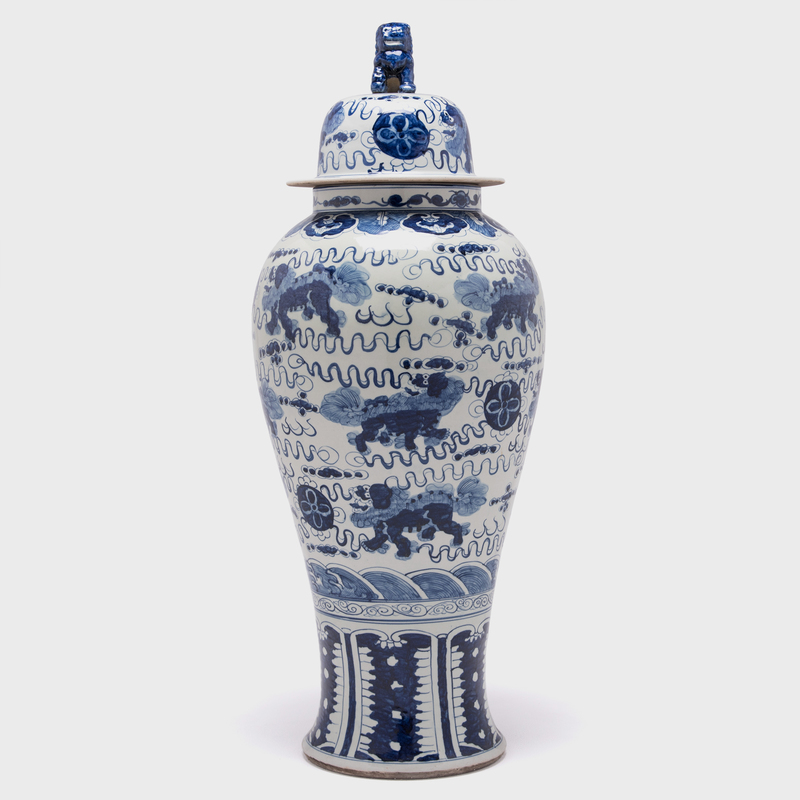 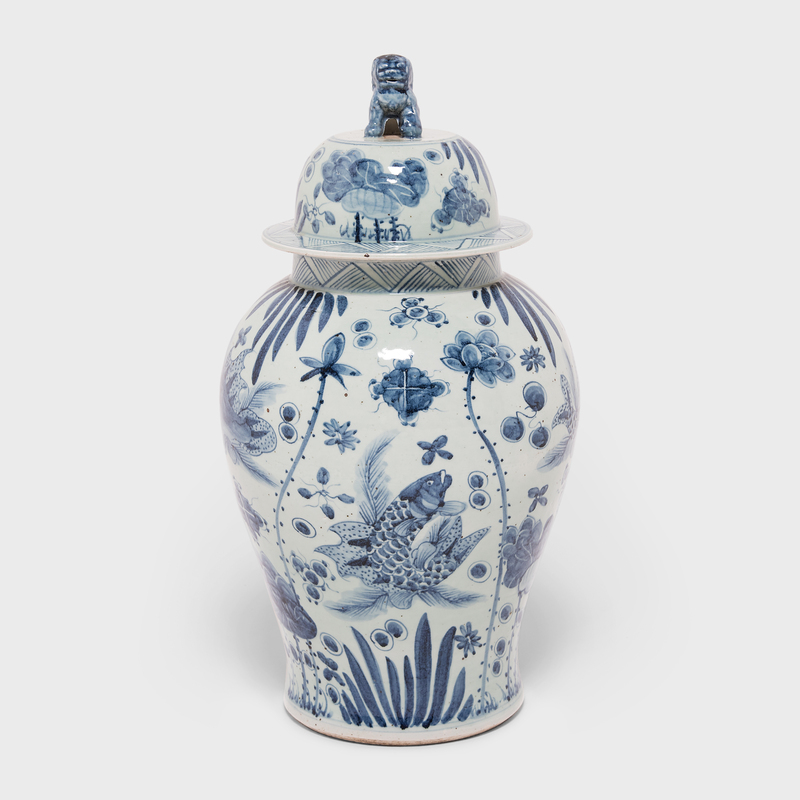 Decorated in a brilliant shade of blue against a field of crisp white, this grand tapered jar is a beautiful example of Chinese blue-and-white porcelain.